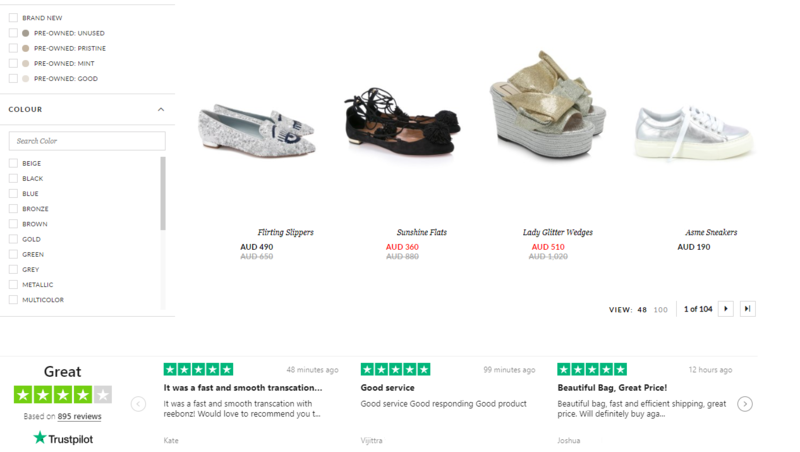 When you write a review on Trustpilot, it can be displayed in several different places. Find out where and how you can see where your review's posted. You can always find your review on the company's Trustpilot profile. This is the only place where your review is guaranteed to appear publicly. Over time, more recent reviews appear above your review and may push it further down the page. It might become more difficult to find your review, but don't worry – it's still there! Apply a star or language filter on the company's profile page to make it easier for you to find your review. Where else can I find my review? Your review may appear in other places on the Trustpilot website. Some of these pages are public-facing, while others can only be viewed by you or your friends. 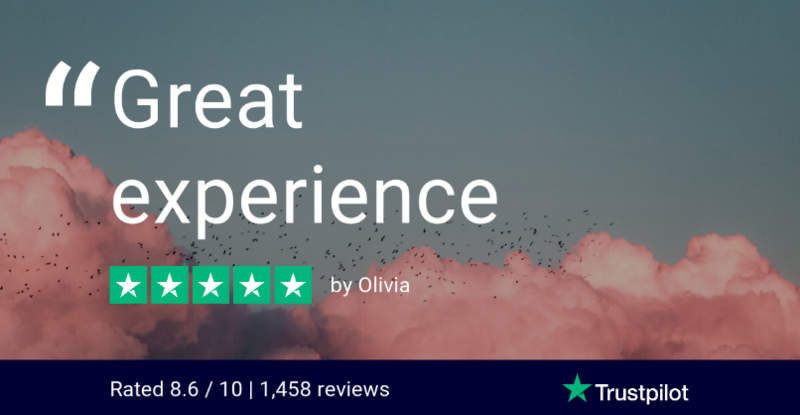 My reviews - Every reviewer has a personal profile on Trustpilot, and every review you've ever written is collected together under the My reviews section of your profile. Point to your profile icon in the upper-right corner of any Trustpilot page, then select My reviews from the drop-down list. Friends' reviews - If you've connected your Trustpilot account to your Facebook account, your reviews may appear under your friends' My reviews tabs. Their reviews might appear on yours as well. To disable this, edit your social settings. Trustpilot homepage - Trustpilot features some of the latest reviews of different companies on its homepage. These change quickly as new reviews are posted. We receive hundreds of thousands of new reviews every day, so it's unlikely that your review will appear on our homepage... and if it does appear, it's probably for a very short time only! Sometimes, a business chooses to display your review in a public place. This could be on their website, on a social network, or offline in some marketing collateral. This extends the reach of your review, bringing it to a wider audience. On their website – TrustBoxes are widgets that companies put on their websites to display customer reviews. This information comes from the Trustpilot site and is updated regularly, so older reviews are less likely to appear on their page. 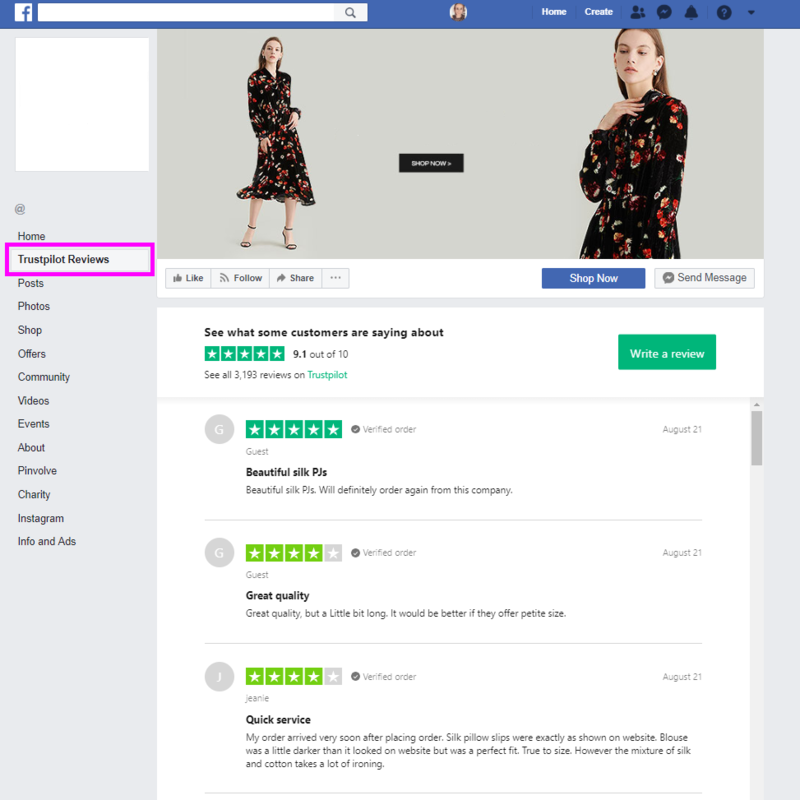 Facebook – If the business you review has the Trustpilot plugin enabled for their Facebook page, your reviews may also appear there, under a separate tab labeled Trustpilot Reviews. In marketing collateral – Trustpilot has a feature for business users called the Image Generator that allows businesses to select a quote from a review, choose an image to use as a backdrop, and share it on their social media accounts and websites. This allows businesses to share their great customer service reviews with more potential customers in a visually engaging way. Because Trustpilot is a Google partner, reviews you write on the Trustpilot site can be factored into Google Seller Ratings. They may also be factored into Google Product Ratings. Google may select your review to display when showing reviews for a company.